Everyone loves a spooky story this time of year. The requests for ghosts, ghouls, and tales of macabre misdeeds even find their way to the Northwest Room, where ghost hunters pore over our city directories, maps, and archival resources for historical evidence. Narrated by retired Everett Public Library historian David Dilgard, this downloadable audio recording meanders through Everett’s historical cemetery to describe many monuments and memories in local history. Use this award-winning podcast as a guide for a stroll through the cemetery any time of year. 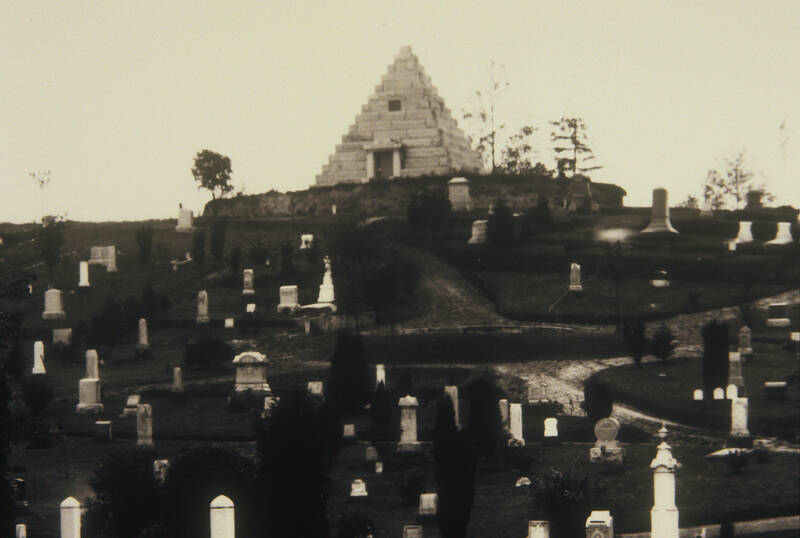 A visual companion to the Evergreen Cemetery Podcast Tour, this online exhibit contains photos of the same sites described on the podcast. You can research sites and stories from the podcast or from your own explorations of the cemetery without ever leaving your chair. Dark Deeds: True Tales of Territorial Treachery and Terror! In this slim volume, David Dilgard recounts three true crime cases from the territorial era. T.P. Carter’s murder in 1860 prompted the creation of Snohomish County, separating the large mainland portion off of Island County. Peter Goutre’s violent demise on Gedney Island in 1875 remains unsolved. And the 1874 axe murder of Lowell’s Charles Seybert continues to intrigue neighbors there. Postcard issued by IWW; funeral of three Wobbly victims of Everett Massacre. The Everett Massacre of 1916 left seven dead and many more wounded in the bloodiest battle in Pacific Northwest labor history. The library has put together a digital exhibit and curated a series of public programs and videos on the topic. This 101-year-old violent labor dispute remains a seminal event in local and regional history. Of course, there are many more stories of tragedy, treachery, and true crime threaded throughout Everett and Snohomish County history. For example, in the Nelson-Connella fracas of 1898, local newspaper editor James Connella shot and killed his political adversary Ole Nelson near the corner of Hewitt and Wetmore. Connella was tried and acquitted, but local animosity forced him to leave town. The prosecution of the Jim Creek double murders in the 1930s are famous for launching the political career of Senator Henry M. Jackson. The library has an oral history interview with Fred French, the detective who solved the crime in 1940. To me, the most haunting true crime tale in our collection is the Halloween murder of 1934. On October 31, 1934, a young baker was murdered by a man who would go on to serve time and escape from Alcatraz. The victim’s family moved back home to Germany, and they became disconnected from the criminal investigations in the United States due to the events leading up to World War II. The family didn’t learn that justice had been served until 76 years later, when the daughter contacted the Northwest Room. We don’t tell these stories merely to entertain, entice or frighten you for Halloween, although we know true crime stories certainly do that. We share these stories as a way to educate and to acknowledge the tragic aspects of our history while offering credible resources for anyone wishing to research our past. This entry was posted in Nonfiction, Northwest History, podcasts and tagged everett, evergreen cemetery, Halloween, Northwest History, northwest room, podcasts by Mindy. Bookmark the permalink.